This is bodily awareness – knowing what each limb is doing, where it is and the consequence your balance when it moves. We use points of contact with the wall like a series of hinges about which our centre of gravity pivots. On easier climbing this is slow and controlled but as the climbing becomes more dif cult the movements become quicker, momentum and precision is needed. Learn to predict the consequences of a move and you will be able to adapt it to minimise the unwanted side effects. Concentrate on uid and dynamic movements and try to predict what re- moving one limb might do to the stability of your position. 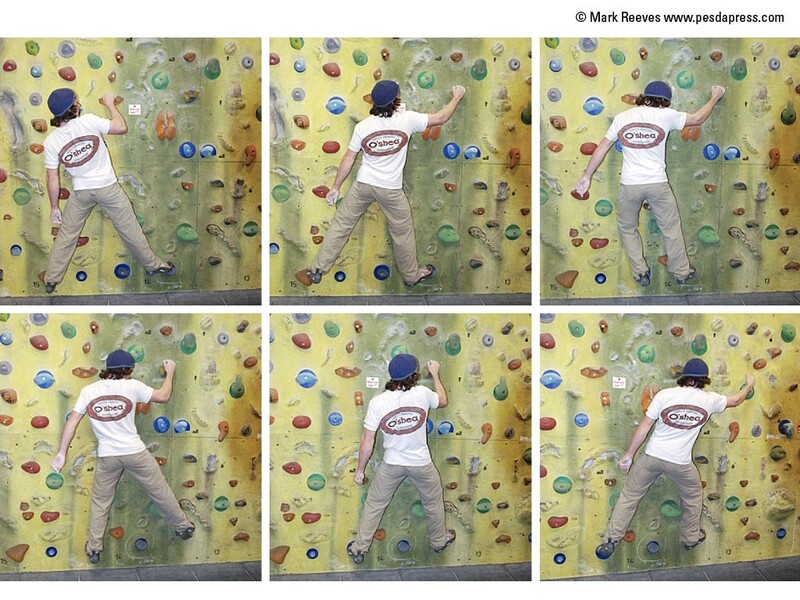 Experiment with different styles of movement like swinging monkey-like between holds. 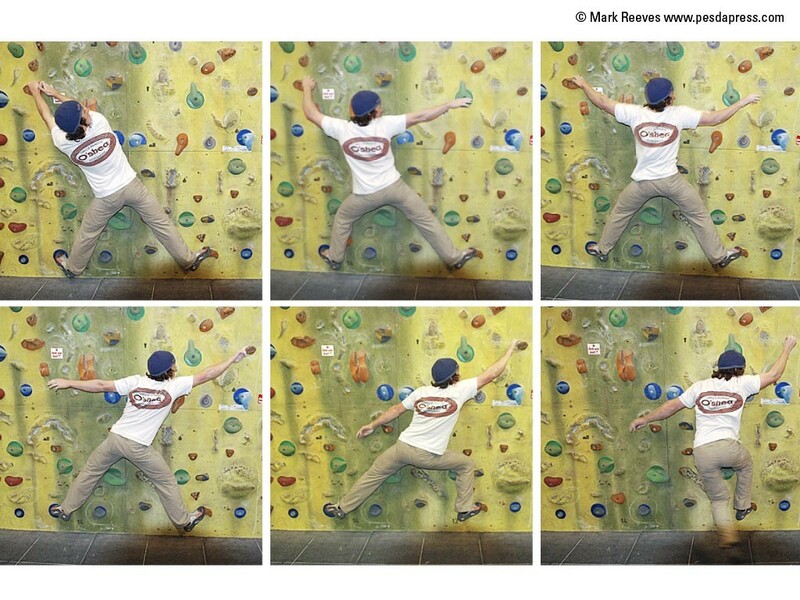 On a traverse make a step or reach that is just beyond your reach by pivoting on your foot and dropping onto the hold. Try this in both directions. What happens when you catch the hold, can you tense parts of your body to reduce the effect? 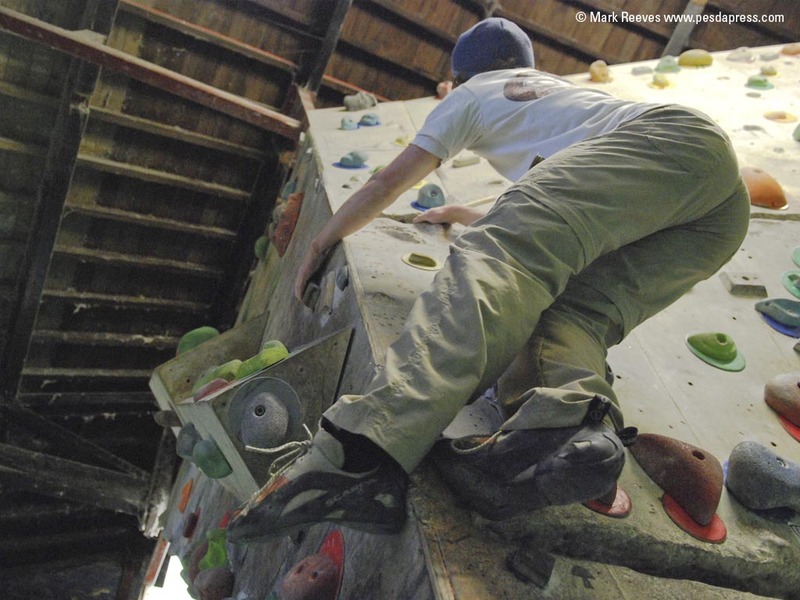 Traversing again making some over exaggerated cross-throughs, and then let your body unwind. Try and predict the swing, and to a certain extent let your body go with it. Repeat the exercise and experiment using body tension and the direction your body is facing to reduce the swing. Making small dynamic movements and finding out what happens as a result of that movement. The consequence of an action and what we can do to predict and anticipate that action. 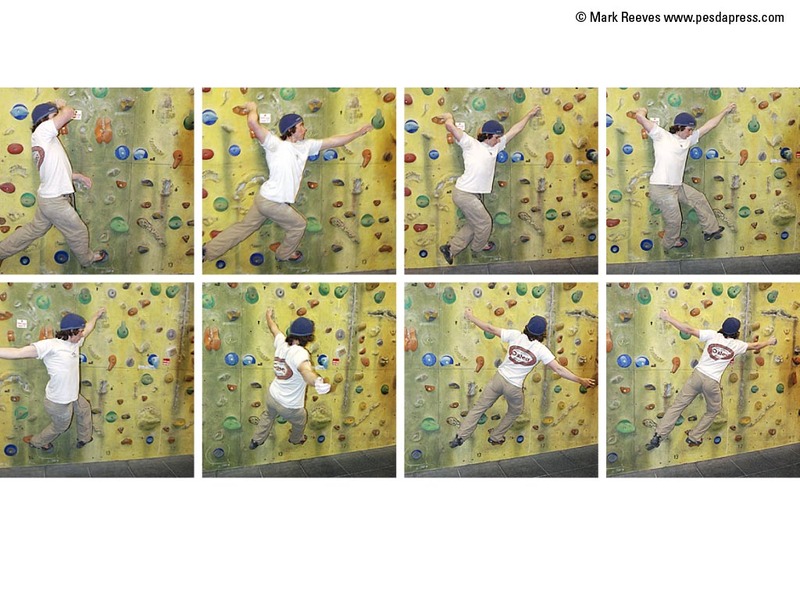 On a vertical wall or steep slab try making a series of moves with only one hand. Predict how your balance will change once you have arrived at the new position. Experiment with different foot positions, or agging one foot as a counterweight to maintain a stable position after the move. Try experimenting with moving both hands simultaneously, to holds close by. How does this affect your balance?